You might think the message starting from “Hey, you there” on Facebook must be coming from an old friend, but rather, it’s an advertising technique being used by Staples, advertising a sale. Approximately two weeks before, Staples let its Twitter followers and Facebook fans have a sneak preview at its Black Friday Deals. Staples spokesperson Amy Shandler said that this is the first time they are advertising their deals on social networking sites, during the holidays. Holidays are an important season for shopping and other chains such as Best Buy, J.C. Penny, Toys R Us, Sears and Home Depot are making use of social networking sites in the holiday season. This trend began last year when just a few retailers went the social networking way, but this year it’s been a social media explosion, with almost all the retailers turning the Twitter and Facebook way. “This year it’s exploded,” according to Mike Gatti, executive director of the Retail Advertising and Marketing Association, a branch of the National Retail Federation, a trade association. Advertising on social networking sites, especially during holiday season, “is very cost-effective,” said Scott Testa, professor of business at Cabrini College near Philadelphia, who is conducting a research on retail and social networking. “It is also a way to differentiate yourself, especially for the early adopters, those retailers that are among the first to have a presence on social media”, he said. Even the traditional media tools like newspapers and magazines are taking advantage of the social networking scenario. For example, Hearst Media Services, formerly known as Houston Chronicle sales division, entered a joint venture with Facebook, about a month ago. They also email their customers if they opt for it. “We have several hundred thousand people who have opted in to allow us to send them advertising messages. We limit the number we send so we won’t give them fatigue,” said Bill Offill, the Chronicle’s executive vice president, sales and marketing. “Social media is a conversation. It’s not a one-way monologue. You need to facilitate an interesting conversation or they won’t come back,” said Mark Avnet, professor of creative technology at Virginia Commonwealth University Brandcenter in Richmond. “As a user I get to choose what I see. That’s why retailers using social media still have to do traditional media to complement social media advertising,” he said. 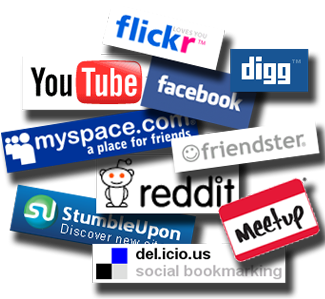 We can definitely say from the trends that social networking will be growing to more areas in the coming years.